The Japanese yen is weakening against several major currency rivals at the end of the trading week. With a potential US-Japan trade war on the horizon, investors are frightened that anticipations of shrinking exports could lead to an economic contraction for the world’s third-largest economy. Can Tokyo turn things around before trade talks with Washington begin? According to a new Reuters poll, Japanese exports are expected to have tumbled 2.7% in March, following a 1.2% drop in February. Imports are forecast to have advanced 2.6% last month, the first increase since December. This will result in a $3.3 billion trade surplus. The same survey estimates that consumer inflation is projected to be flat in March, causing great consternation at the Bank of Japan (BOJ) because it is still far away from meeting its 2% target rate. Earlier this week, the International Monetary Fund (IMF) released its outlook for several major economies. On Thursday, speaking in an interview with Reuters, Odd Per Brekk, deputy director of the IMF’s Asia and Pacific department, said Japan needs to rely on spending rather than depending on the BOJ. The IMF also encourages Japan to stop deferring its plans to raise the sales tax from 8% to 10%. If you ask where the policy space is, fiscal policy should be the first line of defense. Japan shouldn’t defer on the consumption tax increase but if downside risks materialize, think about spending involving infrastructure and social transfers. The BOJ may consider further clarifying the link between interest rates and inflation, which could help heighten inflation expectations. With the national economy sputtering along, Tokyo is about to embark on tense trade deliberations with the US. Japan had been able to delay talks for the two years, but bilateral trade discussions are back on between President Donald Trump and Prime Minister Shinzo Abe. It [is] the US who asked for these bilateral negotiations. So, it’s the US who should put to us what they want, rather than us offering this and that before being asked. The talks should commence as soon as the US-China trade war finishes. 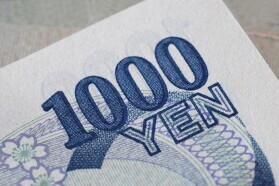 The USD/JPY currency pair rose 0.34% to 112.04, from an opening of 111.66, at 16:47 GMT on Friday. The EUR/JPY climbed 0.8% to 126.55, from an opening of 125.67.